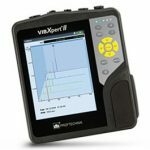 The VIBXPERT EX features 102,400 lines of resolution, simple joystick operation, acceptance measurements, runup/coastdown analysis, time waveform analysis, enveloping, bearing data, 1 or 2-plane balancing, and much more . 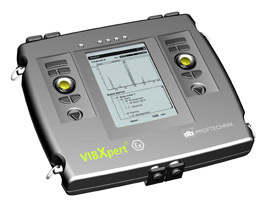 The VIBXPERT EX interfaces with OMNITREND PC SOFTWARE for data storage, analysis and reporting. Enjoy the benefits of free updates, low ownership cost and unlimited TECH SUPPORT from the proven leaders of maintenance technology. VIBXPERT EX: II 2 G EEX ib IIC T4.